A controversial luxury dog treat made from endangered fin whale meat has been pulled from the shelves in Japan. When it comes to fishing practices, Japan easily has one of the patchiest records among the international community. As far back as the 1980s, its maritime practices were a magnet for environmentalists. Whaling, shark finning, culling dolphins en masse as seen in the highly provocative 2009 documentary film, The Cove: the list of Japan’s alleged oceanic sins is long. Even the Simpsons and South Park have lampooned Japanese fishing regulations, absurdly loose relative to most industrialized nations. These controversial practices generally end up on our plates. But according to a statement jointly released earlier this week by the Animal Welfare Institute (AWI), Environmental Investigation Agency (EIA), Whale and Dolphin Conservation (WDC) and the Iruka & Kujira [Dolphin & Whale] Action Network (IKAN), Icelandic fishermen planned to butcher endangered North Atlantic fin whales to create luxury pet snacks for dogs in Japan. “Turning an endangered whale species into pet snacks is deplorable and seems to be nothing more than a desperate attempt to keep a cruel and unnecessary industry alive at any cost,” said Susan Millward, executive director of the U.S.-based AWI. Following protests from the four groups, sales of the snack were stopped. Michinoku’s president, Takuma Konno, chose to pull the product even though it is legal in Japan. The deal behind this would-be whale treat for pets underlines the outlier status of both nations on the matter of whaling. Japan has long exploited a loophole in an international moratorium on whaling, while Iceland simply disregards the ban outright. From the Japanese side, Michinoku Farm is producing the treats, made from meat processed by Icelandic whaling firm, Hvalur hf. Icelandic fin whale has been shipped to Japan for human consumption since 2008, but this recent canceled move to create dog snacks suggests a disturbing new market niche, the report notes. For those close to the issue, it didn’t raise as many eyebrows as would be expected. Regardless of the dog treat plan being shelved, Iceland still plans to hunt more than 180 fin whales for export this year, the bulk of it headed for Japan. “While IKAN’s research shows that Icelandic whale products now make up some 20 per cent of sales to the Japanese public, we were very surprised and alarmed to find that Icelandic fin whale meat is also being used to make dog treats,” said Nanami Kurasawa, executive director of IKAN. Footage of the controversial process can be seen here. 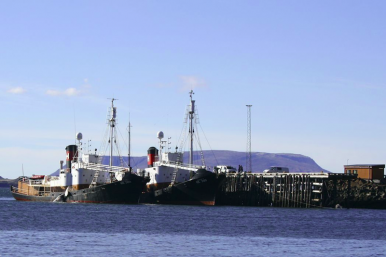 Further, a detailed report, Renegade Whaling: Iceland’s Creation of an Endangered Species Trade, can be read here. Although a family-friendly marine park is opening in Taiji, the dolphin cull will continue.